Brilliantly situated on the 3rd floor front corner of an iconic 1953 apartment building, this instantly appealing, large light filled apartment offers a sensational "New York" lifestyle, adjacent to Fawkner Park and just minutes to the Botanical Gardens, CBD, Toorak Road & Albert Park Lake. The entrance hall leads to an exceptionally generous living dining room streaming with natural light from the angled feature windows. The view is absorbing - trees, palms and the constant urban vibe. Parquetry is throughout. Immaculate kitchen boasts appliance cupboard and servery to dining room, the two large bedrooms with BIR's are complemented by central bathroom. 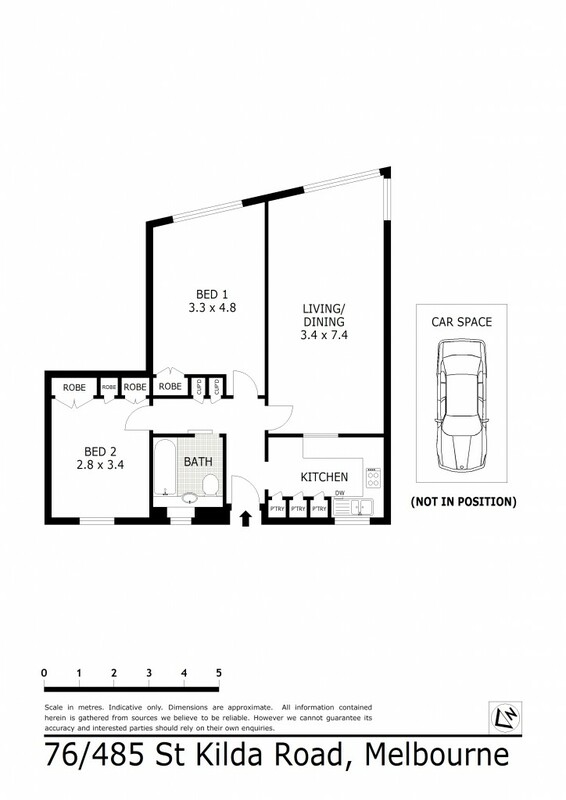 Features include private entrance to Fawkner Park, lift access and secure carspace.